In a crowded marketplace, why would a consumer select your bank or credit union as opposed to your competitor? What makes your organization stand out from the rest? Is it enough to make a difference? Today’s account holders can conduct banking anywhere they want — and that changes everything. They can open a checking account with Capital One 360, a savings account with Ally Bank, an investment account with Wealthfront, and a credit card with Chase. They can pay their bills on Mint.com, get a loan from Lending Club and make payments with Venmo. What’s the best way to survive? It all starts with answering a basic question … Now that consumers can bank anywhere, why would they choose you? And yet, that’s hardly something to boast about. When I was in college, I worked as a teller at a community bank, and I read each customer’s name off of the computer screen the same way the tellers at Wells Fargo did. Knowing your customer’s name isn’t a differentiator. Every financial institution does this. If you think you’re going to win the future of banking by knowing people’s names, you’re in trouble. Besides, since everyone claims they have better customer service, it’s not much of a differentiator … especially for a consumer who has never used you as their financial institution. It doesn’t help you to stand out from the crowd. If you find that you keep answering the question above with some vague notion of having better customer service, the best way forward is to dig deeper. To do this you might ask, “What is our unfair advantage?” It’s a question that Chris Sacca, an investor in technology, urges companies to focus on relentlessly when they’re getting started. So, what is your unfair advantage? Maybe you specialize in a certain kind of car loan. Maybe you specialize in a certain class of investments. Or perhaps you work best with a certain kind of business loan. Don’t worry about appealing to everyone. Just be the best at that one thing. And don’t make your one thing customer service unless you have a very clear and specific way that you differ from your competitors. You might look at Umpqua Bank to see how a dramatic shift in culture has brought them terrific gains in revenue. Or you might look at how BECU is investing in digital products that set themselves apart from other players in the market. As you work to find an answer, excuses might come to mind. The biggest banks have more in assets. The neo-banks spend less on overhead. But those excuses are missing the point. If you’re not large enough to do all things, don’t. If you have no choice but to pay for overhead, embrace it in a way that meets the needs of consumers in the 21st century. Just pick one profitable thing that your financial institution will be known for. You have characteristics that no other institution has. It’s a matter of figuring out what those characteristics are and then developing those characteristics into full-fledged differentiators. The place to start is by looking objectively at your user experience. Do some undercover work and check out the experience your competitors offer. Go through their account opening process. Use their digital products. Then be as impartial as possible, and answer this question: Do you provide an experience that sets you apart? Based on these numbers, you can see that a strong digital banking experience brings enormous gains. 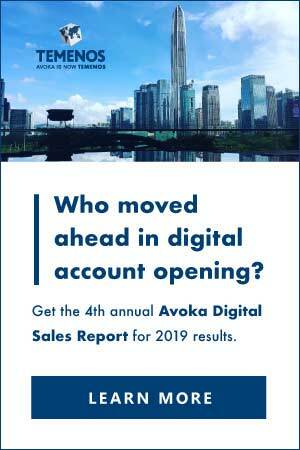 Again, one third of consumers said they’ve opened an account with a new financial institution because of a better digital experience. It follows that if you offer a digital experience that sets you apart (i.e., if you make your digital experience your particular ‘unfair advantage’), you increase your chances of winning these account holders. Some financial institutions are starting to realize that they can gain the upperhand in this area by partnering with third-party providers who specialize in user experience. To this end, Deutsche Bank regularly consults with startup companies and Capital One acquired LevelMoney and Adaptive Path. Jesse James Garrett, the co-founder and Chief Creative Officer of Adaptive Path, says that “this is exactly the kind of problem Adaptive Path was created to solve: helping a company with the resources, but more importantly the will, to reimagine its strategies, processes, and design solutions to create better experiences for millions of people.” Leveraging expertise and products from a third-party provider like this is the perfect way to amplify your unfair advantage. Whatever your unfair advantage is, make sure that every employee and every account holder knows about it. When a consumer opens a new account with you, don’t use the time cross-selling them your full list of products just to squeeze more revenue from them. Everyone does that. You’ll need to do things differently. When someone opens an account with you, spell out exactly how your institution is irreplaceable. Spell out your intrinsic value. Spell out your unfair advantage. If you do that (and keep doing that! ), your account holders will see that even while they can choose to bank anywhere, they can’t afford to not bank with you. And that’s how — whether you’re a bank with $2 trillion in assets or a credit union with $2 million in assets — you’ll stay in business. For more on the importance of user experience, check out the white paper ‘Design an Experience that Empowers Account Holders‘ by MX. Jon Ogden is the director of content at MX, a fintech company that works with digital banking providers to empower account holders at banks and credit unions. He writes at Money Summit and MX.com. Jon can also be followed on Twitter.